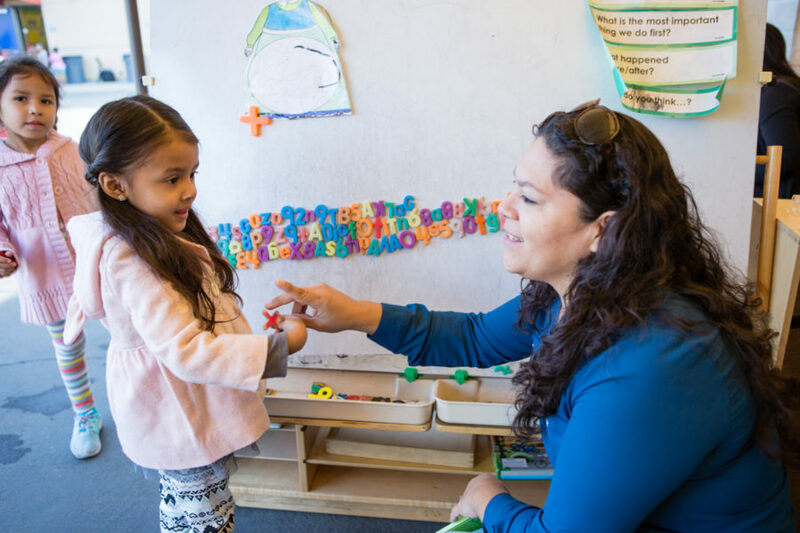 Currently in California, there are simultaneous promising efforts to lift up early childhood teachers and caregivers to fundamentally improve the provision and quality of early education and care for children. These developments include recommendations to advance the early childhood workforce and underscore the need for greater investment. We’re excited to share Transforming the Workforce Birth Through Age 8: Implementation Plan for the State of California. Last year, the Institute of Medicine and the National Research Council issued the most comprehensive set of recommendations to date to ensure the evolution of the early education and child care profession in Transforming the Workforce for Children Birth Through Age 8: A Unifying Foundation — the new California plan is a blueprint to make those recommendations a reality. The blueprint holds especially strong potential to carry out the Transforming the Workforce Birth Through Age 8 (TWB8) recommendations because it’s informed by two key partnerships—the California Department of Education’s Professional Learning Team, which is identifying best practices of professional learning for early educators, and the California Commission on Teacher Credentialing Advisory Panel (CTC AP). The CTC AP recently developed new recommendations for the licensure ladder for early educators known as the Child Development Permit Matrix, and drafted new performance expectations and preparation program standards for early childhood professionals. The Commission on Teacher Credentialing met this month to discuss the CTC AP matrix review, recommendations, and field survey results. Next, the CTC AP will continue to consult with stakeholders, analyze the impact of recommendations, return to the Commission with implementation options, and develop the performance expectations and program standards. With positive relationships with adults who know how to support their learning and development, our children can thrive. Early Edge is committed to leveraging policy and research like this to make major improvements, in our classrooms and in the Capitol, for our young children.